Tooth restorations are dental procedures done to replace or restore missing or damaged teeth. Injury, trauma, and tooth decay are the most common causes behind needing tooth restorations. Tooth decay, gum disease, and oral deterioration should never be ignored and tooth restoration procedures should never be put off. These serious oral health care concerns can quickly lead to subsequent oral issues with disease, decay, and infection affecting neighboring teeth and gums. At Gold Hill Dentistry, Dr. Kavi Sagunarthy and Dr. Jennifer Mokris are both highly qualified and skilled dentists who provide the highest standard in restorative dentistry. A mouth is healthiest and fully functional only when it is complete, and Dr. Sagunarthy and Dr. Mokris are dedicated to helping patients regain a healthy mouth. Fillings – Dental fillings are the most common type of dental restoration. This simple procedure can clean out cavities and then fill the tooth to protect it from further decay. Crowns – Dental crowns are “caps” that are placed over teeth that were more severely infected. After the inside of a tooth is completely cleaned out and treated, a crown is placed over the tooth to restore its shape, size, strength, and appearance. Bridges – Dental bridges are false teeth used to “bridge” the space between missing teeth. Crowns are typically used to anchor dental bridges so that they are firmly held in place. Root Canals – Root Canals are tooth restorations done specifically to save a tooth that has infection or decay. The nerve and pulp of a tooth will be removed, the tooth will be thoroughly cleaned and treated, and the tooth will be filled to prevent the spread of decay. Dentures and Dental Implants – Replacing missing teeth with dentures or dental implants is extremely important. Open spaces in the teeth can create serious damage to the entire mouth. Missing teeth leave the jawbone extremely susceptible to becoming weakened, causing further tooth loss and other dental issues. Gold Hill Dentistry is proud to serve residents of Fort Mill and the surrounding communities with exceptional dental care. 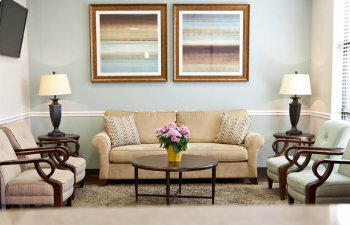 We offer comprehensive, compassionate, and patient-centered care to patients of all ages. Please call us today with any of your oral health care concerns.